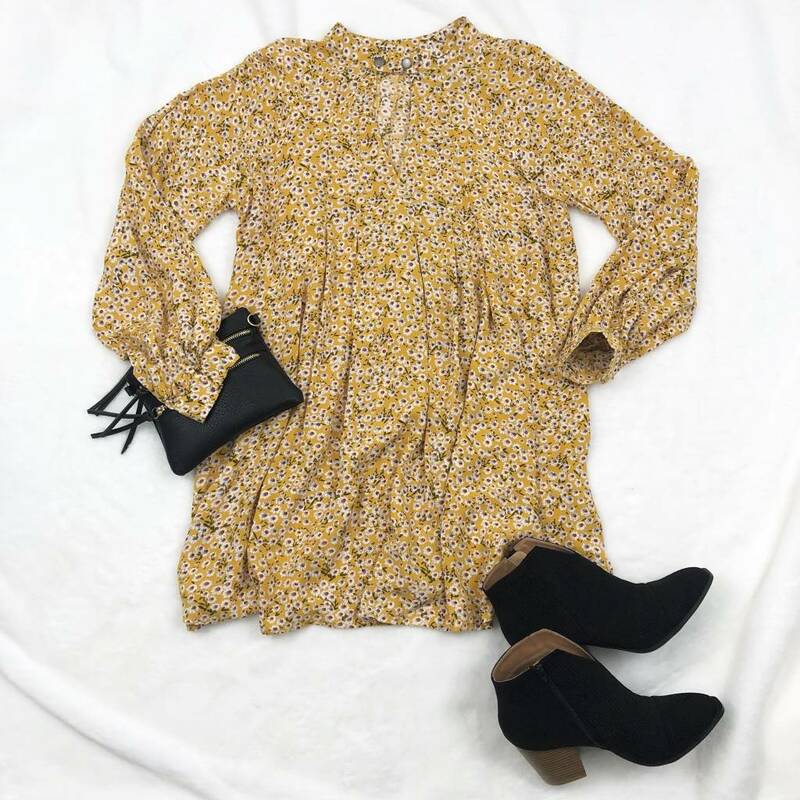 The sitter is on her way, you have the weekend off by some miracle, and you now have an excuse to wear this Mustard Daisies Dress! Stay ahead of the plan and grab it now! Style with our Prenton booties.